This watercolor fish pattern is now available on Spoonflower! The fish are drawn by hand, inked with India ink, colored with watercolor and scanned and arranged in Photoshop. I had a sample printed on fabric through Spoonflower and love the results. This design is available for purchase on a variety of fabrics and gift wrap. I am juggling several projects right now and this is one of them. 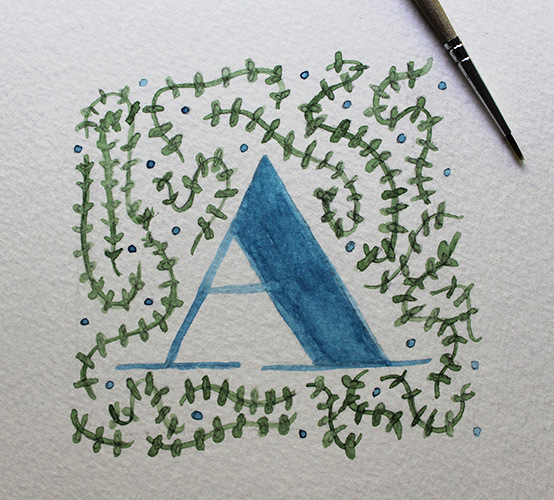 I've been experimenting with watercolor illustrations and so far the results have been great. 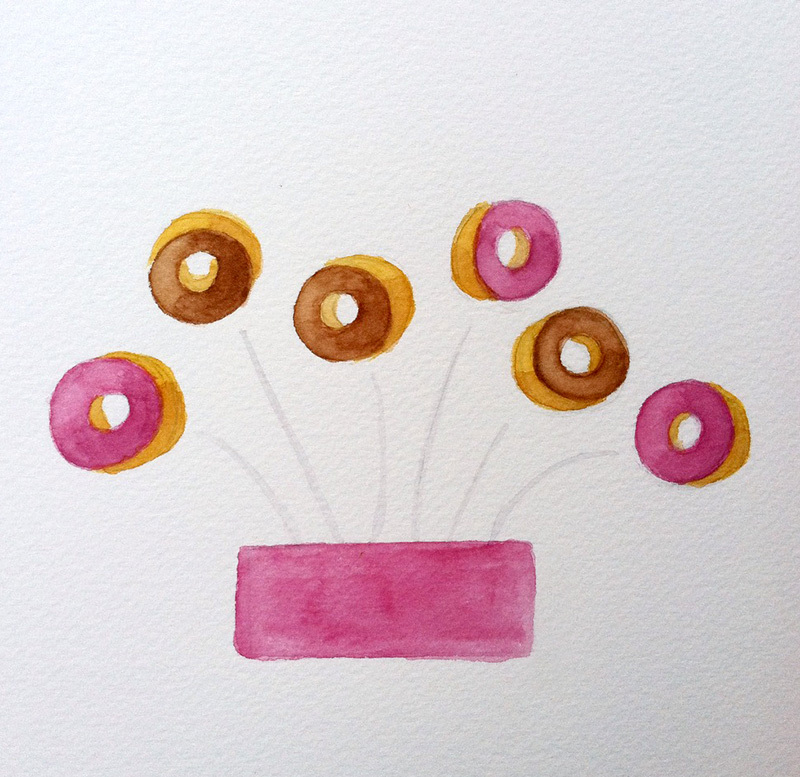 I thought I would offer a sneak peek into my watercolor journal where I'm working on some new plant and floral designs for stationery and fabric. There's no ETA for the finished versions yet, but hopefully summer of this year. 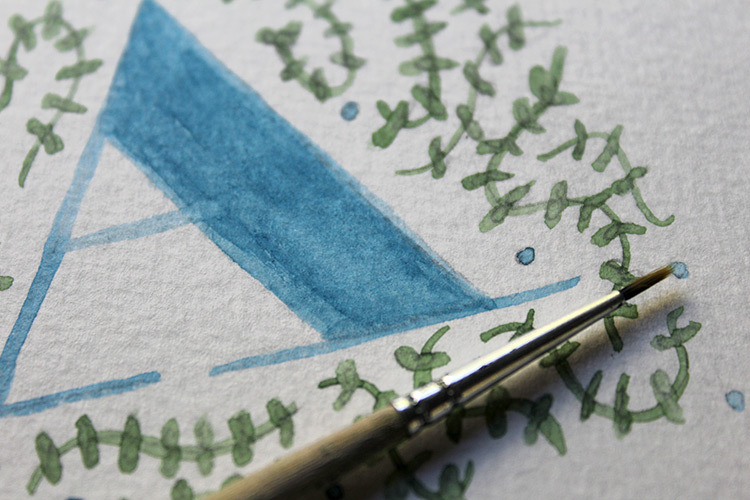 Enjoy this little glimpse into some work in progress. Fruits & vegetables illustrations work in progress. This project is making me hungry. 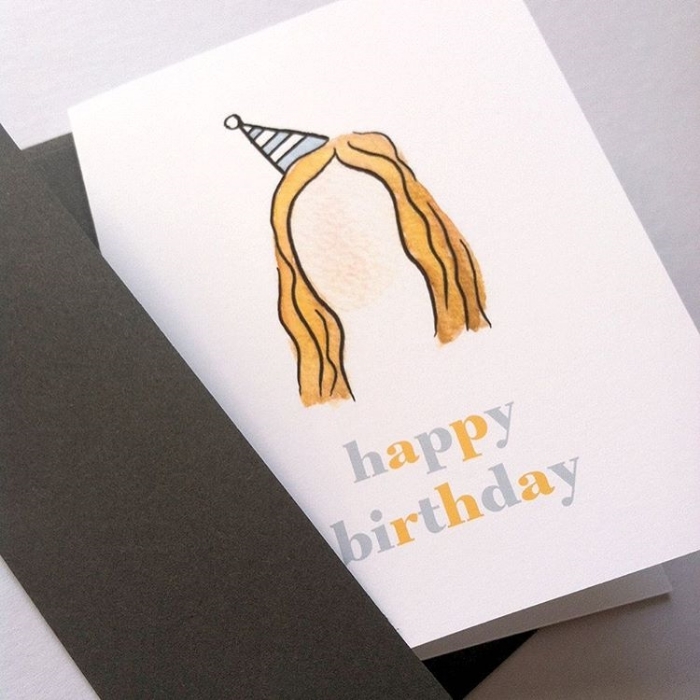 Party hat birthday cards now available! 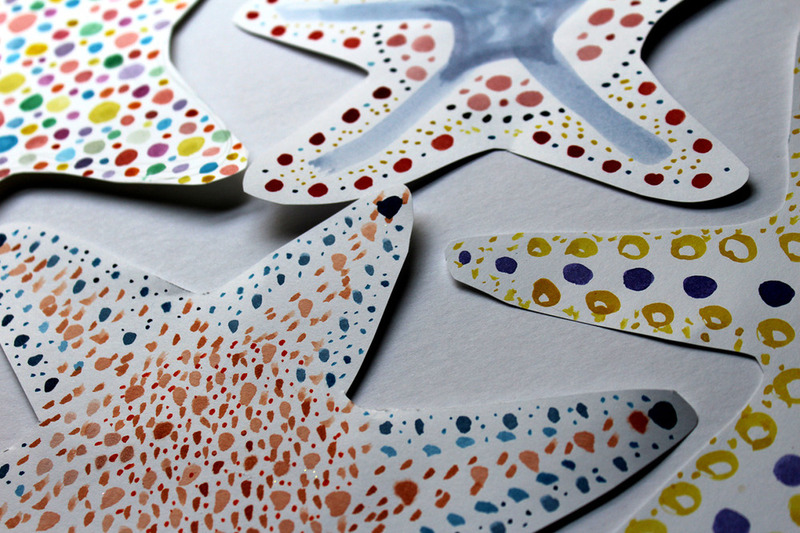 Painted a handful of sea stars for crafty party decorations. They were super fun to make.